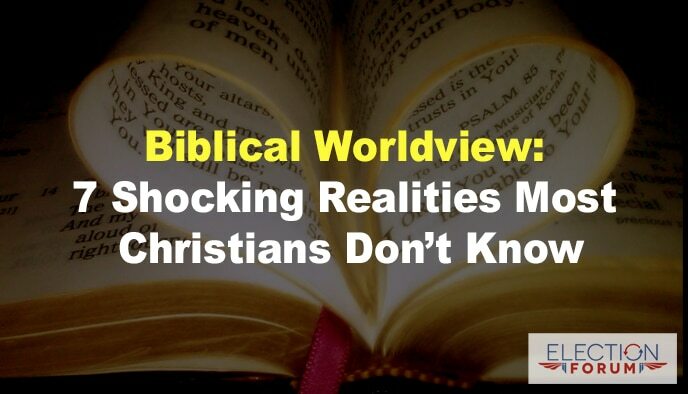 It’s how few who profess to be Christians believe in a biblical worldview. First, everyone has a worldview – or a combination of worldviews – whether they realize it or not … even if they don’t know for sure what a worldview is. It’s like a lens or a filter through which we view everything … and it helps us make sense of the world we see and experience. Your worldview is critical … as is living it out on a daily basis. When I speak at groups or churches, I often describe what a biblical worldview consists of because it’s important … and because there’s such a huge disconnect. The purpose was to determine how many adults in the U.S. actually have a biblical worldview … compared with the 100+ million who claim to have a biblical worldview. The surveys contained 20 questions assessing spiritual beliefs … and 20 questions assessing behavior. How many believe they think biblically vs. how many do think biblically. While 46% of adults – roughly 112 million – claim to have a biblical worldview … Barna’s research found that only 10% — about 24 million – think and behave biblically. The Christian vs. the true biblical worldview. The gap between adults who consider themselves Christians – more than 7 out of every 10 – and those who have a biblical worldview – 1 out of every 10 – is even more alarming. Out of the half of the nation’s adults who consider themselves to be “pro-life advocates” – only 19% have a biblical worldview. Bible reading and biblical worldview. Out of the 11% who say they read the Bible daily … less than half – 45% — have a biblical worldview. Protestant vs. Catholic and biblical worldview. Two takeaways from this research. First, one may have a biblical worldview in some areas – say theology, philosophy, ethics and history – while having a conflicting secular humanistic worldview in biology, psychology, politics and economics. Second, if one claims to believe according to a biblical worldview … but does not act or behave according to a biblical worldview … one doesn’t really have a biblical worldview. Beliefs are important … but if they don’t lead to action, they aren’t true beliefs … as James makes clear in his discussion of faith and works in James 2:14-26. 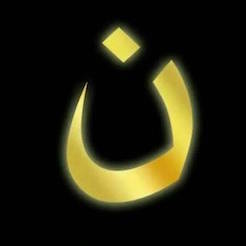 “What use is it, my brethren, if someone says he has faith but he has no works? Can that faith save him? If a brother or sister is without clothing and in need of daily food, and one of you says to them, ‘Go in peace, be warmed and be filled,’ and yet you do not give them what is necessary for their body, what use is that? Even so faith, if it has no works, is dead, being by itself. I was excited to find out what the 7 shocking facts were that Christians didn’t know… Unfortunately this article left them all out. Kind of important, or the whole article is unsubstantiated fluff, but with a clickbait title. Are these so-called Christians supportive of unmarried couples living together? Do they believe in Evolution over Creation? Do they not believe Christ is coming in the Bible-promised Rapture? Do they not believe you must accept Christ to avoid a future in hell? Just what proof does the author offer that these folks don’t hold a Biblical worldview? None. I hope the article gets rewritten; the topic is an excellent one. some specifics were needed to make this an informative article. Thank you Sophia, Steve and Mark for your comments. Biblical Worldview is too big of a topic (IMO) to cover adequately in a short newsletter article. I was given the ACFI survey results article (here’s a link: https://www.culturefaith.com/groundbreaking-survey-by-acfi-reveals-how-many-american-adults-have-a-biblical-worldview/) and asked to write an article about it for Reality Alert. I wanted to start by defining what a worldview consists of — because there are probably many different opinions — even among Christians — re. what a worldview is. But even that was beyond the scope of a newsletter article. David Noebel’s 900-page Understanding the Times describes 10 areas of thought and action comprising a worldview, and then contrasts how these 10 areas of life are viewed by 4 major worldviews. I’m at a loss as to how to summarize that amount of material in a 500-750 word newsletter article — and still cover the results of the ACFI research. I’m sorry you were disappointed in the Reality Alert article. So was I. Perhaps in the future we could do a series of articles on the topic over the course of 10 or 12 issues… If any of you think this would be a good idea, email Craig at [email protected]. Hi Phil, some interesting info here. Do you have an updated host address where I could find the details of this study?